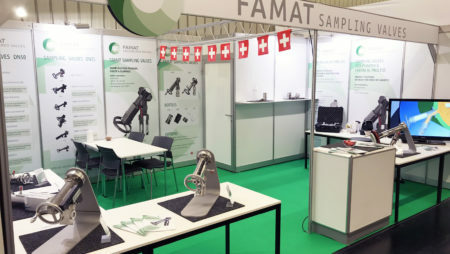 Type 125A is the standard DN50 sampling valve by FAMAT. Standard sampling valve with a double acting pneumatic actuator. Proximity switch detects the open / closed position of the valve.